This is awesome. (Lots of Feenwald stuff is). Basically it's a completely huge set of doors and windows. The DOORS have slots on them so you can click in deco that moves with the door!!!!! (Lee, I'm going to have a look at how they did that for the sign idea that we had). 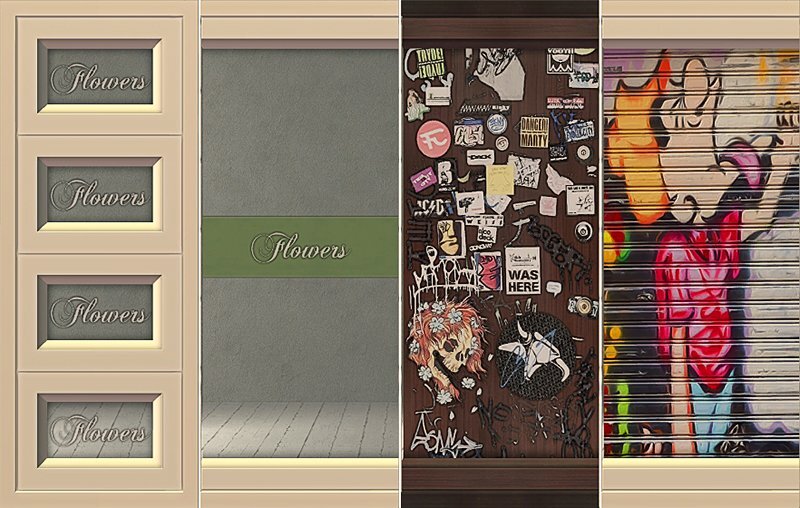 This works not just for the overlays they made to go with the door, but also the existing decor! Needs a mod to use with wall hangings. But look! A use for those Wreaths and things we got with Celebrations and Holiday Fun Pack. 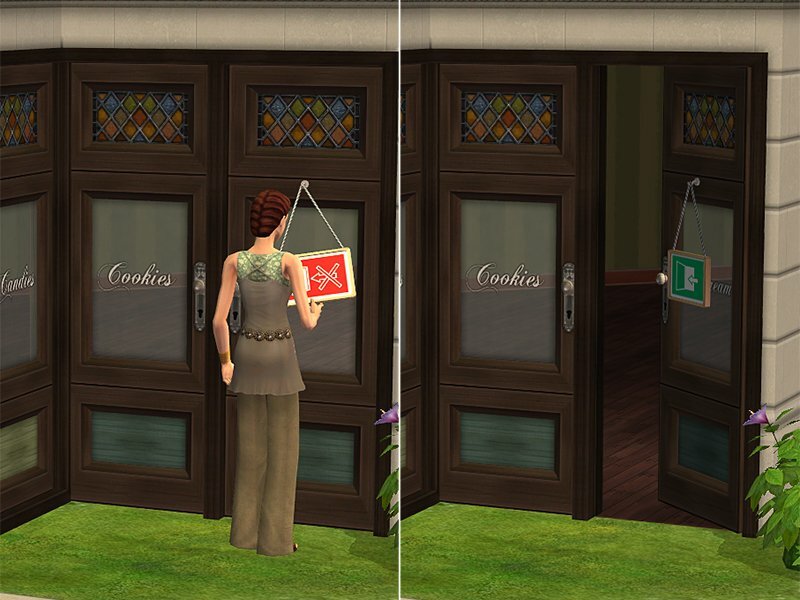 AND you can finally put the open/closed sign on the door! Seriously, seriously worth a look. You have to add the slots and do some behaviour editing, because otherwise the doors won´t close if the slot isn´t empty. If you have problems with adding slots to doors, please ask. 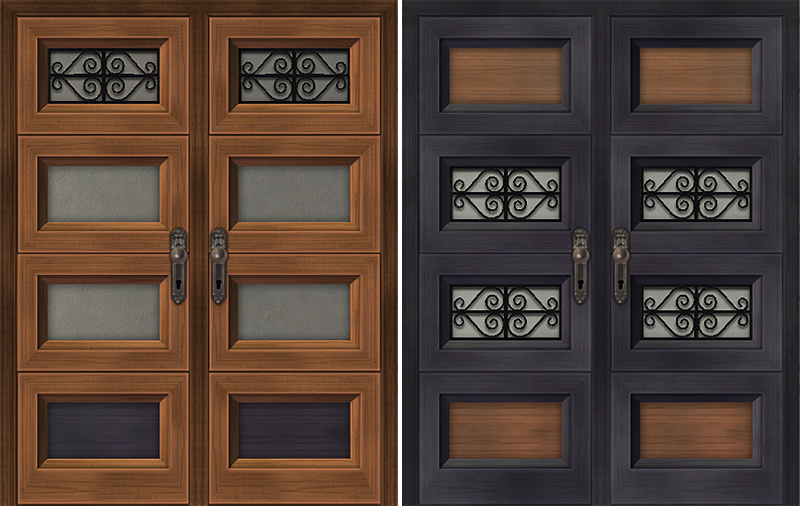 Or feel free to simply clone your doors from the Metropolitan doors, this should work. thanks for that Julsfels! A brilliant idea - I can imagine that it would have been a labour of love to do so many meshes.